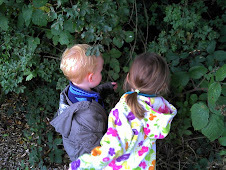 Little Garden Helpers: Prickles for Dinner? Following our recent sighting of a hedgehog Garden Girl has become very interested in animals with spikes. She wanted to know what other animals there were with spikes and the best I could come up with was the porcupine so she sat patiently on my knee while I searched the internet for some information. And we discovered some amazing creatures from spinning sea urchins, churning up sand with poison tipped spikes, to the Porcupine Puffer fish which blows itself up into a huge spiky balloon so no predator can swallow it. Whilst I would be interested to see this marvellous spectacle you would never catch me trying to eat it, despite it being a delicacy in Japan where 100 deaths a year are apparantly caused in gourmet restaurants from people 'prickling their taste buds'. I think my most adventurous trip into culinary strangeness is an ostrich burger so nothing too wild there. What is the strangest or most dangerous food you have eaten? And if you want to learn more about the spiky inhabitants of planet earth check out the Zoo Friends website.